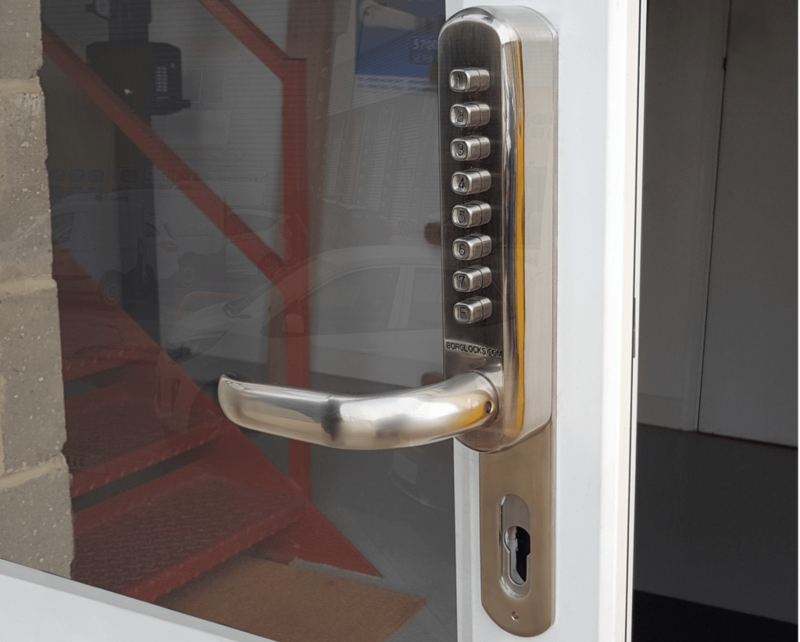 The BL6100 is our unique design, incorporating the need for a narrow stile door section lock not often seen on the market. With a body width of just 45mm, this lock is ideal for areas where conventional locks just wont fit including UPVC doors. 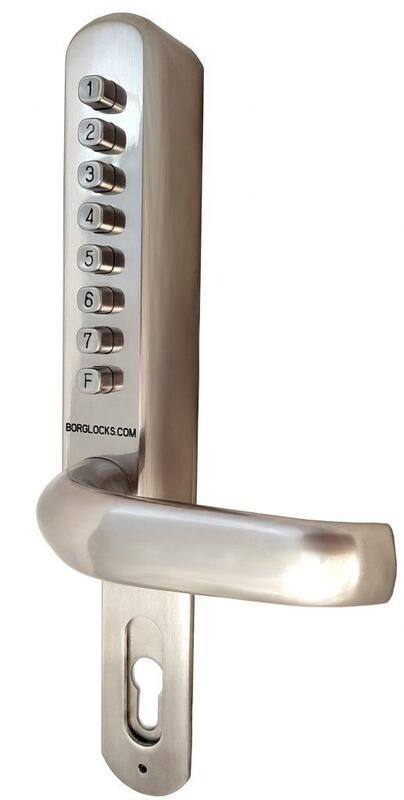 This comes with an 325mm long extension plate fitted behind the keypad and inside handle adding an extra 113mm to the length of the unit, effectively making it suitable with 90 & 92mm centred multi-point locks and helping to cover all existing holes on the door. The BL6100 is supplied with no device and is for use with either an existing set up or a third party latch.